Once we saw the SteelSeries Apex M800 Mechanical Gaming Keyboard back at the International CES 2015, we knew we had to try it before we saw SteelSeries again at E3 2015. The Apex M800 is the upgrade to SteelSeries‘ popular original Apex keyboard which used membrane keys and hosted a plethora of macro keys. 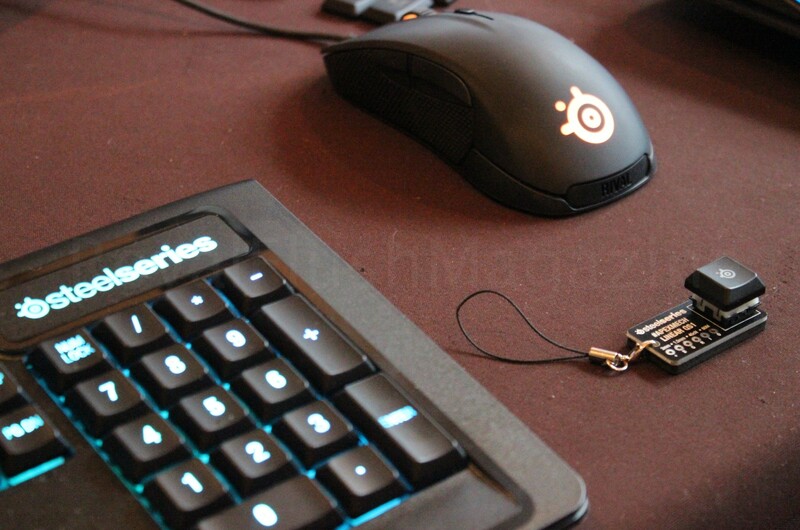 SteelSeries developed their own mechanical switches this time around for delivering 25% faster actualization. In the software department, the keyboard is customizable via the SteelSeries Engine in the area of macro-creation and key color control. So let’s dive deeper into the overall make of the Apex M800. From the Cherry Black Switch-using SteelSeries 6GV2 to the popular membrane-key-using Apex and Apex Raw, SteelSeries has taken a turn in combining all of what they’ve done in the past in the form of the Apex M800. The Apex M800 has the smallest footprint of the various Apex’s, which is largely to do with the lessened macro key-count. The original Apex and Apex Raw had macro key counts of 22 and 17 respectively. The Apex M800 now only has 6 dedicated macro keys. However there wasn’t much of a trade-out here on functionality here as each and every key of the Apex M800 is individually programmable. Each key can be configured down to its unique own behavior and color. You actually have as many “macro” keys as you want here.